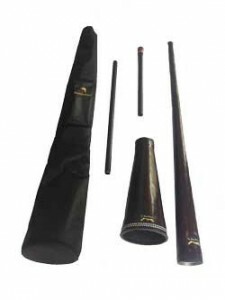 The Dr Didge Super Slider Pro is a carbon fiber 1 octave didgeridoo with aluminium fittings and sliders and a wooden mouthpiece. You can play in most every key and even slide notes on the go – great for recordings and for quick key changes at gigs. Plays from Low G# – High G#. 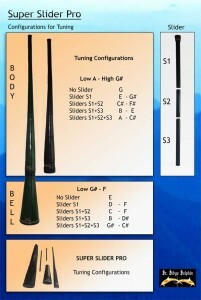 The SS comes in 4 pieces; the main didge body, bell and the 2 slider pieces making it easy to tune. All packed into a professional quality padded travel bag with adjustable strap and zip pocket. It has a key range from low G# – high G# and consists of 5 pieces : a yidaki shape body, a bell and 3 aluminium sliders and frees you to experience different keys without having to change instruments. It is light, strong and durable. It weighs 3.5kg including a water resistant bag. The sound is full, resonant and has great back pressure making it easy to play toots in all keys. Fun for all ages and great for players at any level. 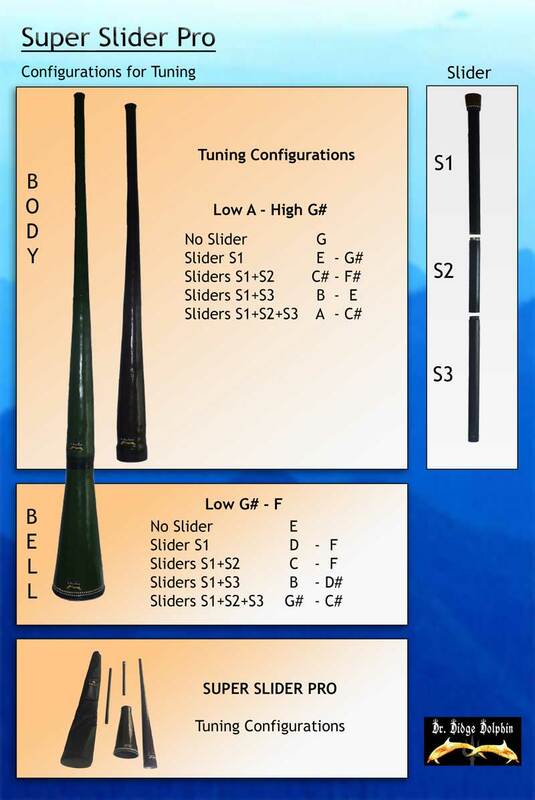 It will expand your didge experience and has the capacity to take you to the next level. It is great for recordings and for quick key changes at gigs. AVAILABLE IN 3 COLOURS – BLACK, RED, BLUE or DOLPHIN.